Thirty something Bridget Jones is a hilarious single woman determined to make some changes in her life starting with the new year. From losing weight, to quitting smoking, and cutting down on her alcohol intake, Bridget chronicles her year long adventures down to the minute. 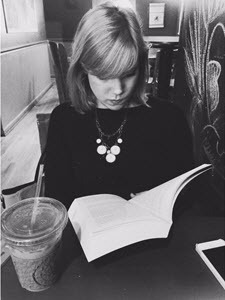 The chapters are broken up by month, and readers get to experience all of Bridget’s “traumas” of being a Singleton with her. I’d seen this all over the place at book sales/stores and the dvd is always in the $5 movie section at target, but had never bought either of them. Until last week that is. I was looking for a quick/funny read and that was definitely what I got. A lot of the reviews on Goodreads were really angry and calling it pointless “chick lit” or whatever BUT I disagree. Bridget Jones might be 30-something years old, and while I’m only a 20-something, I found myself relating to her a lot! We’re both definitely quite dramatic when we want to be. Equally in love with Colin Firth, and abbreviate very to “v.”… it goes on. Anyway, I found myself laughing out loud a lot throughout this book, which doesn’t happen all that often for me. Bridget truly is a drama queen, so really even the simplest tasks were often hysterical. Her relationship with her mother was another thing that kept me laughing…and made me grateful for my own, sane mother. It did get a bit tedious with the calorie counting thing every day, especially since she is by no means “fat” and the ways she criticizes herself, well we’ve all been there, but still. I knew there was a sequel, but wasn’t really planning on reading it until I went into a used bookstore, Webster’s that I found on a trip to Happy Valley this weekend. It was SUCH an amazing book store, with old books every where and a little cafe in the back. Even the people working there seemed like a part of the store, somehow? Like they lived there or something. I could’ve spent all weekend there, to be honest with you. ANYWAY, I’m way off track now. But I found a hardback of the sequel for just $1! I started it in the car on my way back home, because I already missed Bridget’s outlandish adventures. I gave Bridget four stars overall, because it was a really fast, really fun book, and that’s what I’ve been looking for lately! When I have to read and analyze a bunch for school, I’m less likely to read “heavy” books in my spare time. 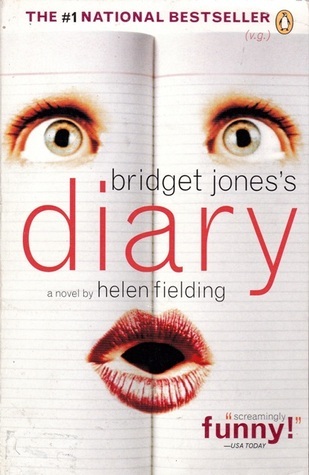 Have you read Bridget Jones? I know I’m about a decade or more late! Is the movie as good as the book? Have been meaning this to read this for a long time, the films were very funny and I’m sure the books are too! 🙂 Great review!